When the Spiders are this good, why not buy one? We recently had a chance to test the new McLaren 600LT Spider and were astonished by its capabilities. McLaren has designed its convertibles in such a way that the removable of the roof has almost zero impact on performance and structural rigidity. In addition to the 570S Spider and the 600LT Spider, McLaren has also taken the roof off the 720S. 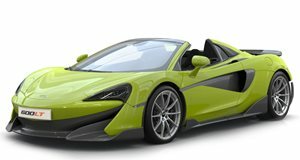 With the overall brilliance of McLaren's Spider models, it almost doesn't make sense to buy one of the coupe models unless you are truly averse to open-top cars. 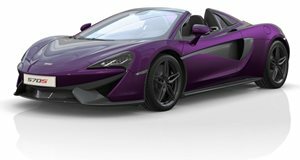 McLaren expects its trio of Spiders to sell extremely well and the UK brand even told Automotive News it expects 50% of all sales to be encompassed by convertibles. Having a wide variety of convertible models is "obviously something that customers appreciate," Ian Digman, McLaren's head of product management, said. "It suits a particular customer type. Not everyone needs that extra facility, but we want to give them the broadest range available." Cars like the 600LT Spider and 720S Spider offer open-top fun with practically zero compromises compared to a coupe. In the 720S's case, the Spider was developed at the same time as the coupe back in 2013. "What that meant was that any requirement of the spider was built into the base vehicle, requiring zero compromise as we went forward," Digman explained. Unlike previous McLaren Spider models, the 720S uses electric motors instead of a hydraulic system, enabling the roof to be raised or lowered in just 11 seconds - down from 17 seconds in the 650S Spider. 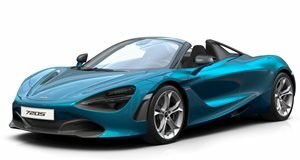 The 720S Spider also features an optional glazed electrochromic roof for $9,100, which can go from a 30% tint to 95% at the press of a button. Even the buttresses on the rear of the car, which can hinder rearward visibility, now use glass to provide better sight lines out of the back. Those boffins in Woking think of everything.